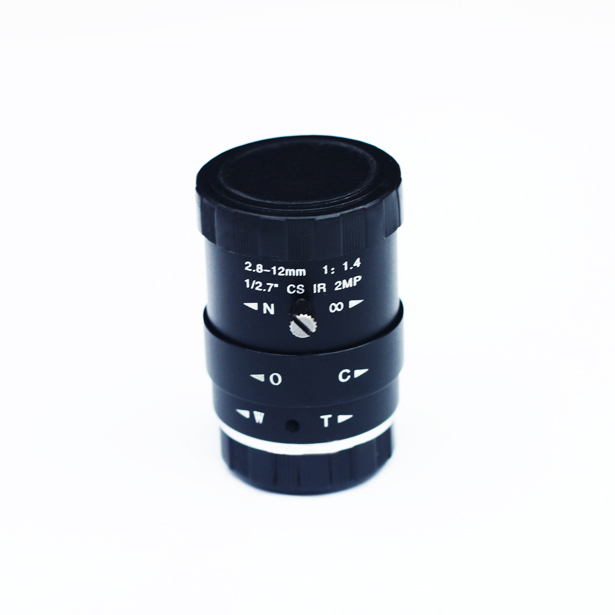 This guide scope is compatible with all ASI cameras. Dovetail includes 1/4″ screw hole. 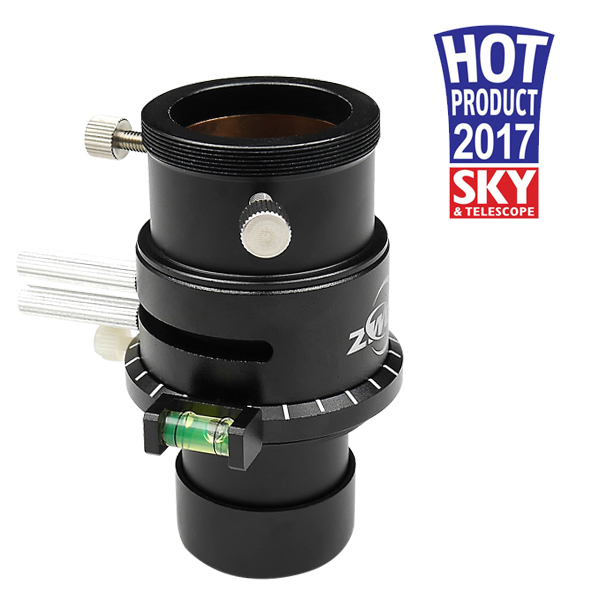 Is this guiderscope can fit in a Vixen Style Mounting Base of William Optics? Mount Sky-Watcher EQ6-R SynScan GOTO with steel tripod. Our ASIAIR support with this Mount. 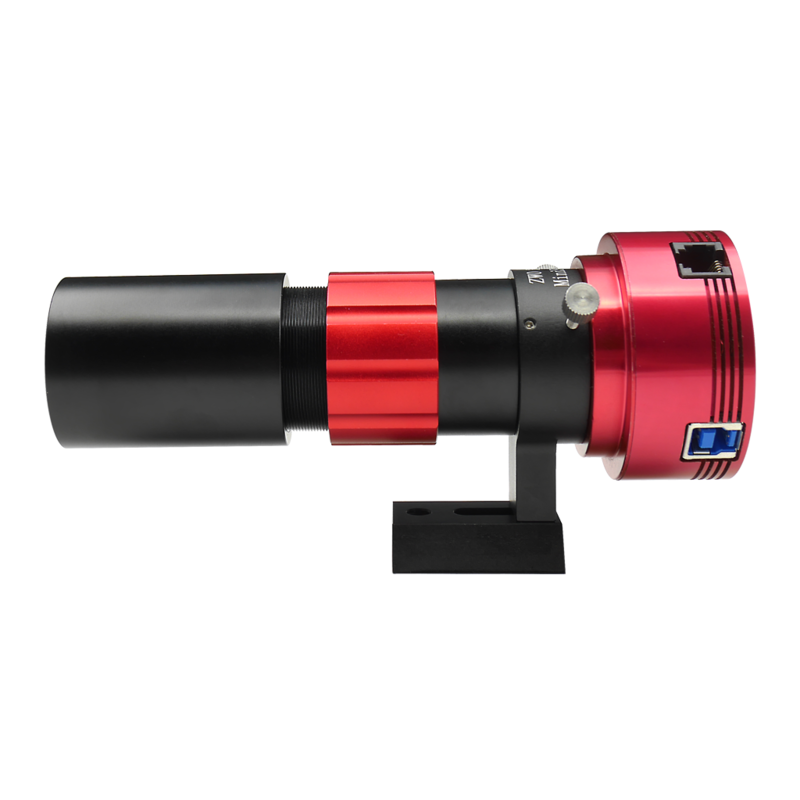 Can a Levenhuk T800 PLUS camera be paired? I want to use it as a guide. 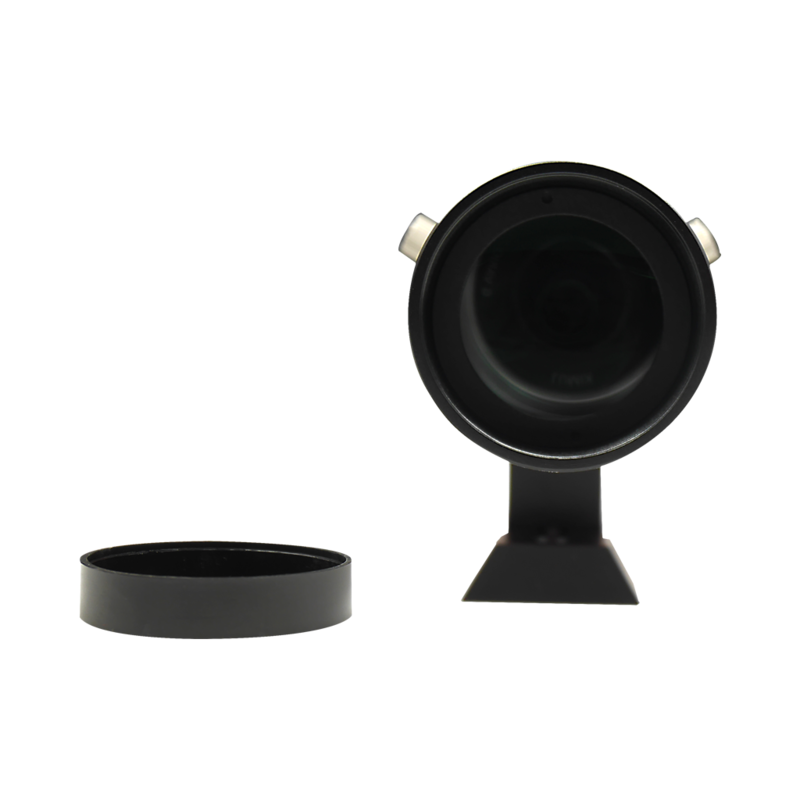 ASIAIR support ZWO USB 3.0 cameras and mini series cameras, it does not support other brand camera yet. Hi Sam, can this scope be used as a finderscope, too? 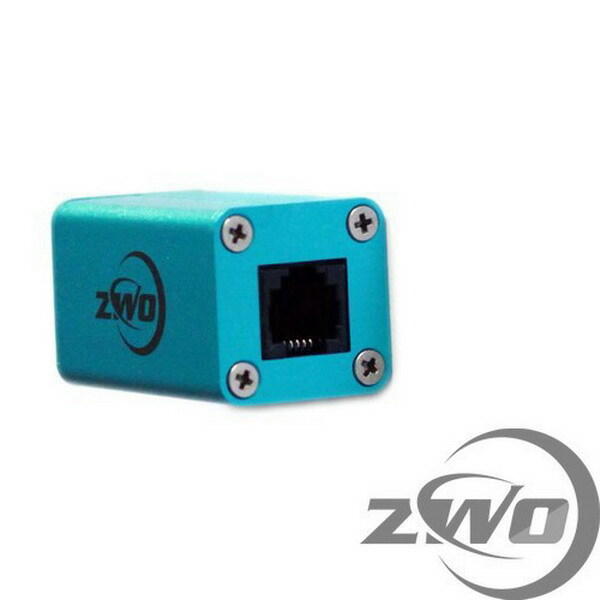 When I directly screw zwo camera to back ring the cable is pointing directly downwards and I can’t mount it on the dovetail for my guidescope as there is no room to bend the cable and the plug won’t bend. Is there anyway to rotate the mini scope tube so that the plug doesn’t end up pointing directly downwards? If it happens, I think use another connection method, 1.25″ nose-piece. 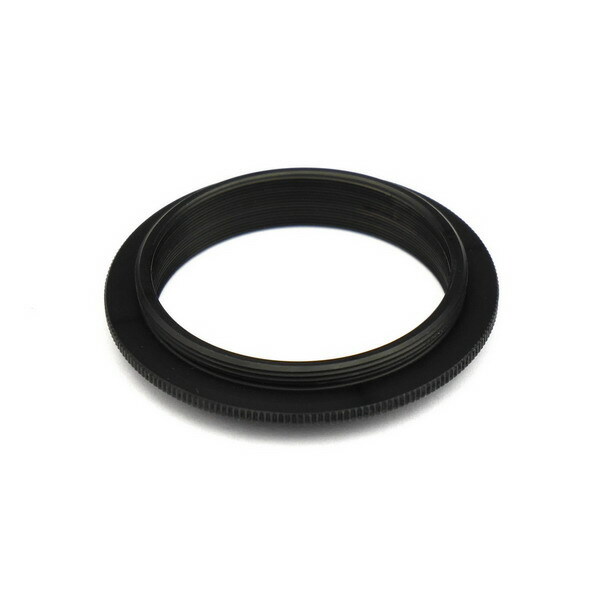 Is this suitable to guide a 714mm focal length scope? Can you lock the focus on this guidescope or do you have to refocus every time? 714mm is a little longer, usually we recommend to guide for 500mm and shorter. 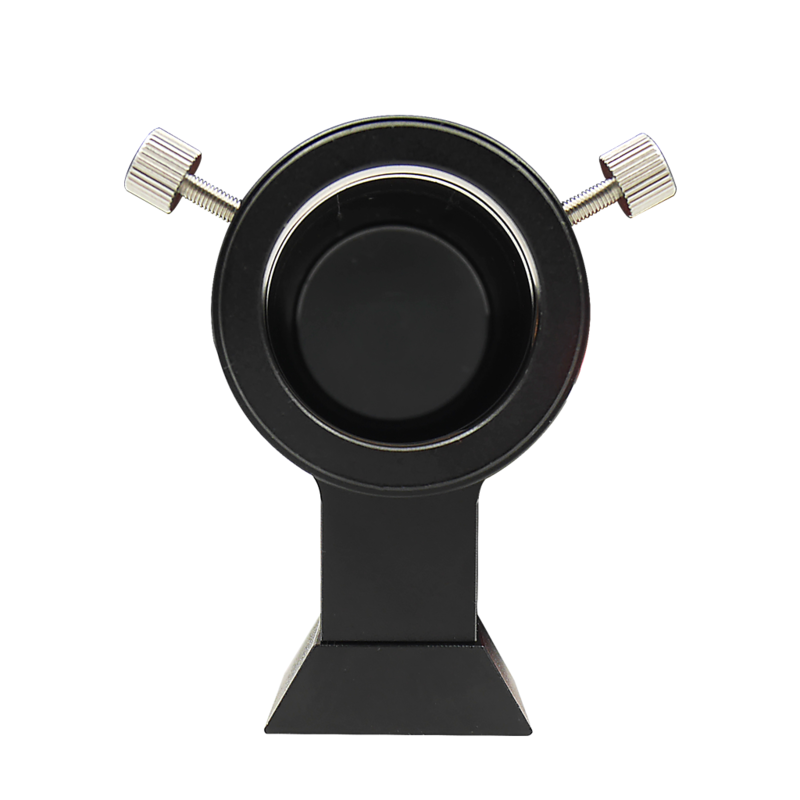 The focuser can be locked, you only need to focus once. 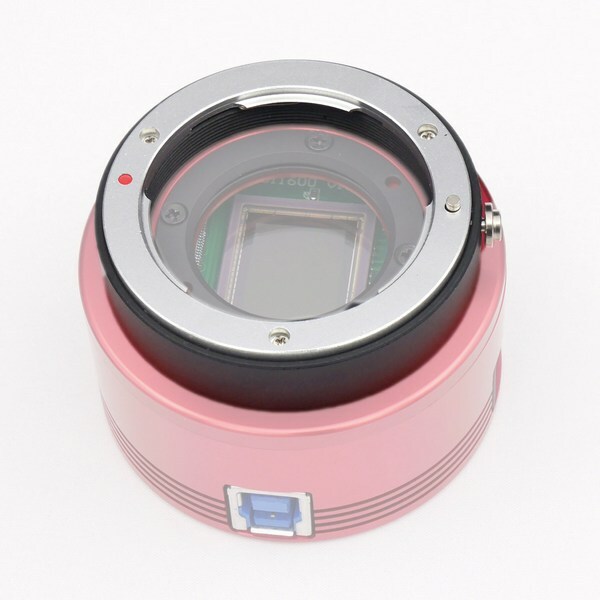 Is this OK with the ASI120MM Mini? 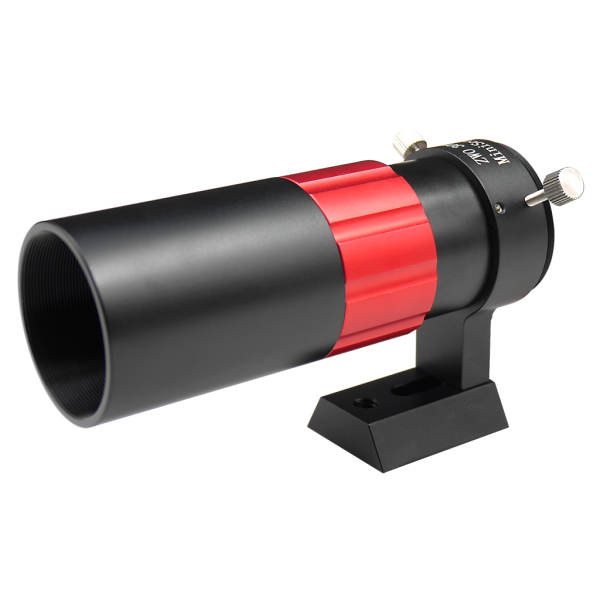 I have a 1200mm focal length Newtonian – would this be a good guide scope? I plan to mount it on the finder scope mount. 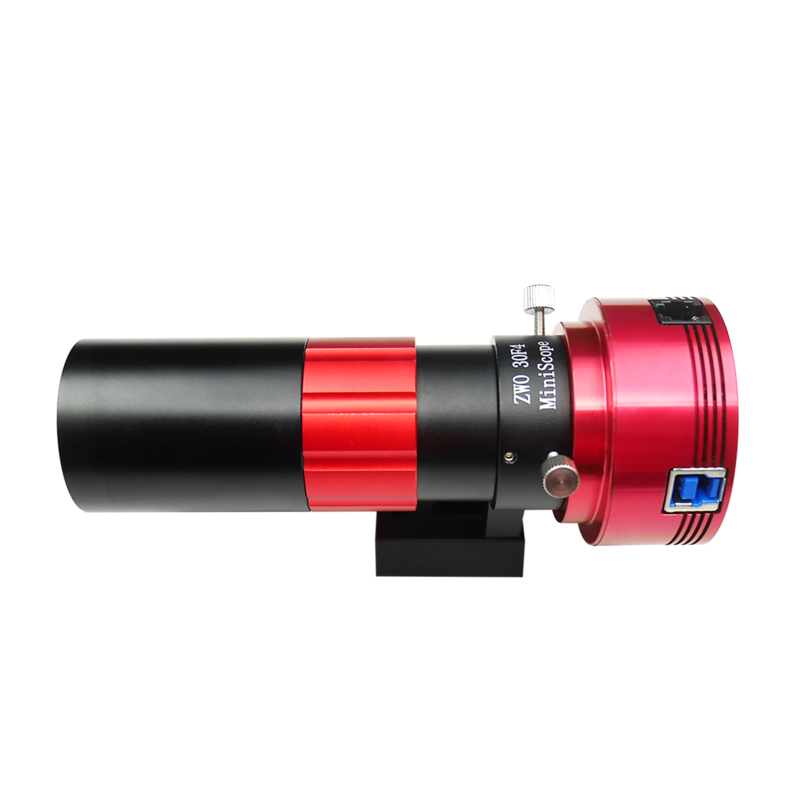 If I use ASI120MC-S with this ZWO mini guide scope, what is the max imaging focal length you would recommend on my main telescope (using ASI1600MC-C)? 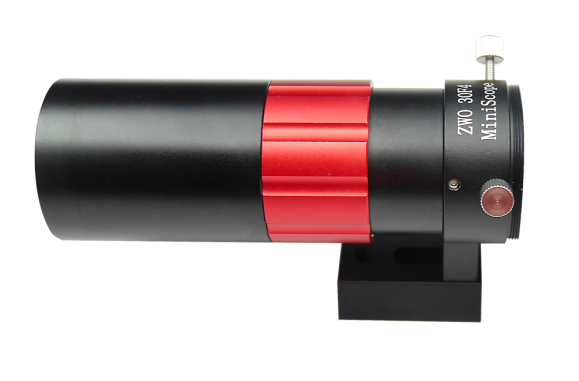 Also, what magnitude star can I guide on using the ZWO mini guide scope. 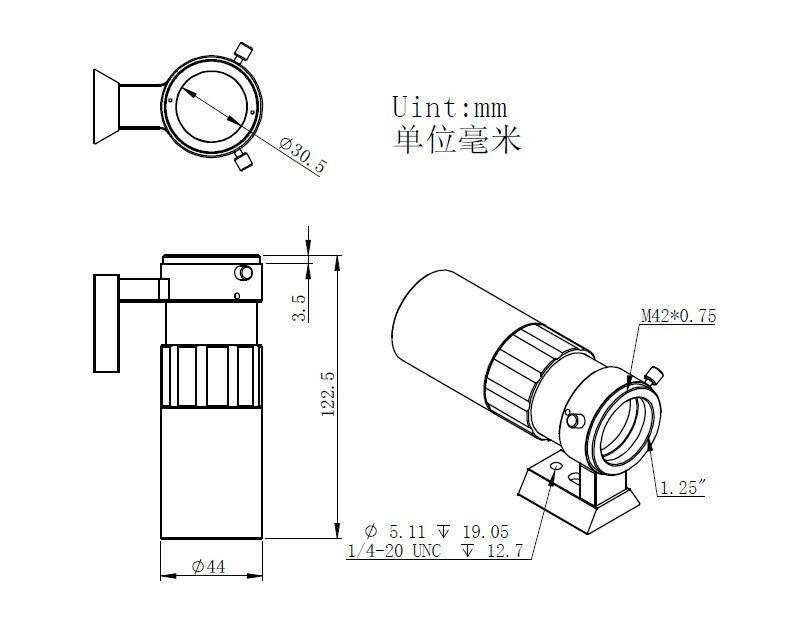 Is there a way to remove the guider ring and dovetail and just use the guide scope tube with the ASI120MM guide camera? The camera can then be mounted on a dovetail using its mounting screw at the bottom. 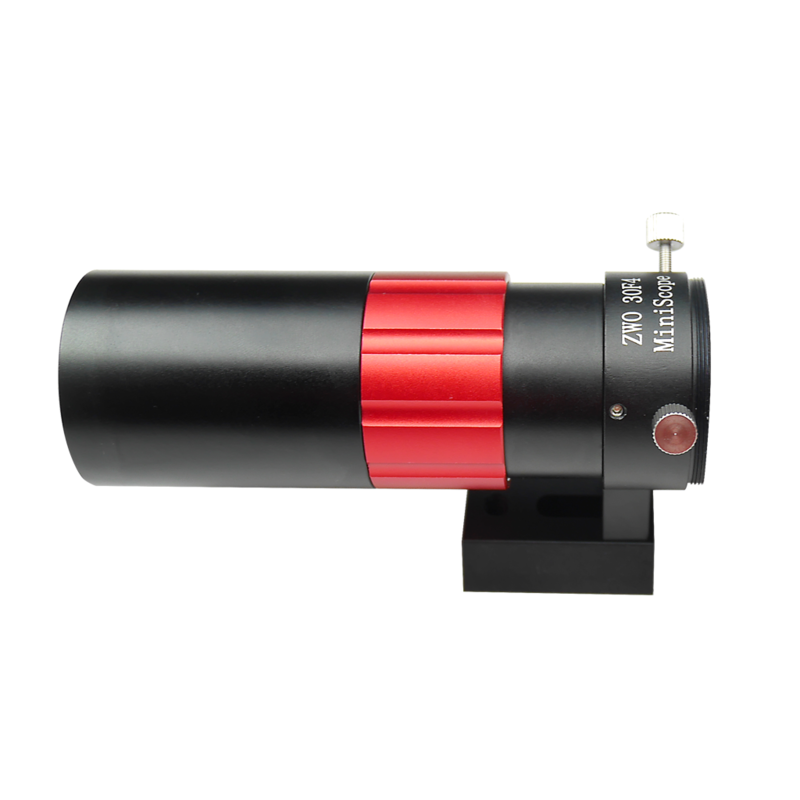 ASI120MM can screw on the mini scope with it’s M42 threads. I think mount the scope and camera with camera back side screw is not stable. You’d better to use dovetail of miniscope. 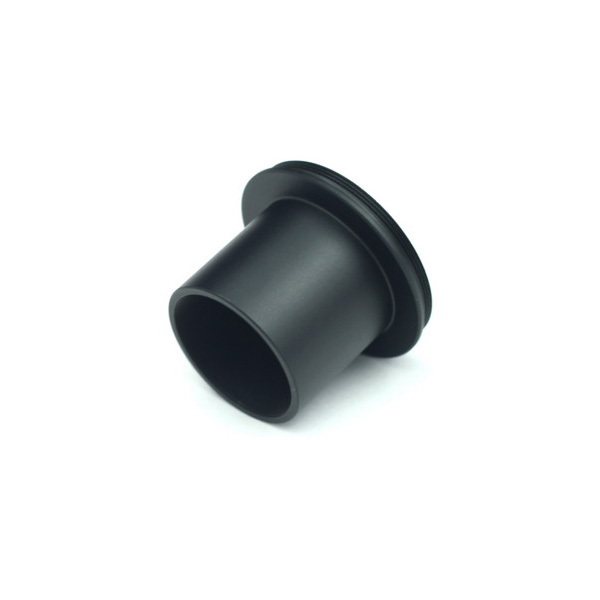 Are additional adapters needed to use this with the 174MM-mini? No, the original adapters of 174mini is enough. Hi, Is it really 500g? 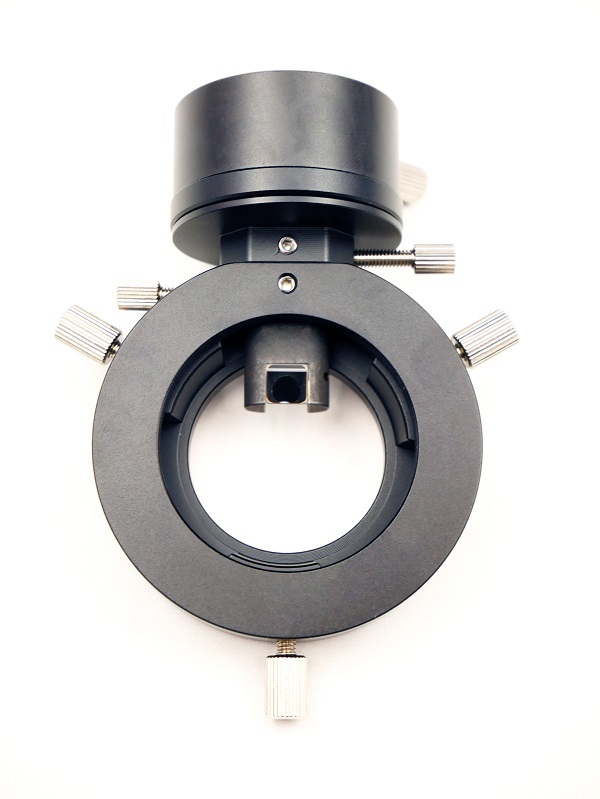 How can one attach this guide scope on Meade LX90? Depand on the guider adapter of LX90. 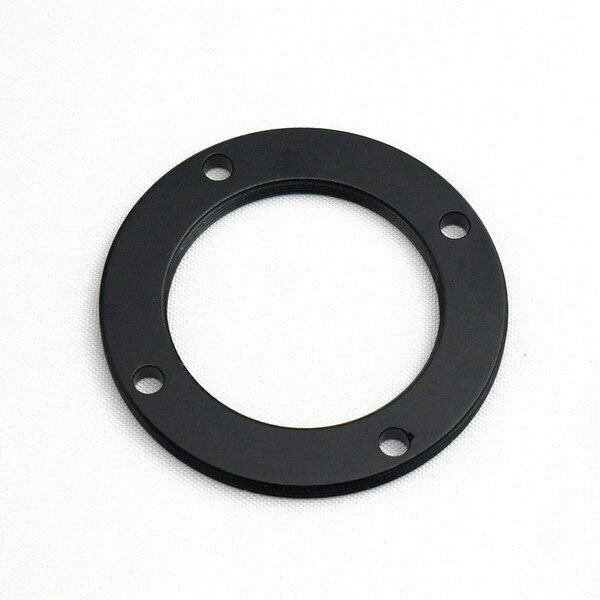 Our guide scope use standard guider adapter.